Today was a cold rainy dreary day in Maine. Great for working in the studio, but the light was lousy for taking photographs. Obviously. 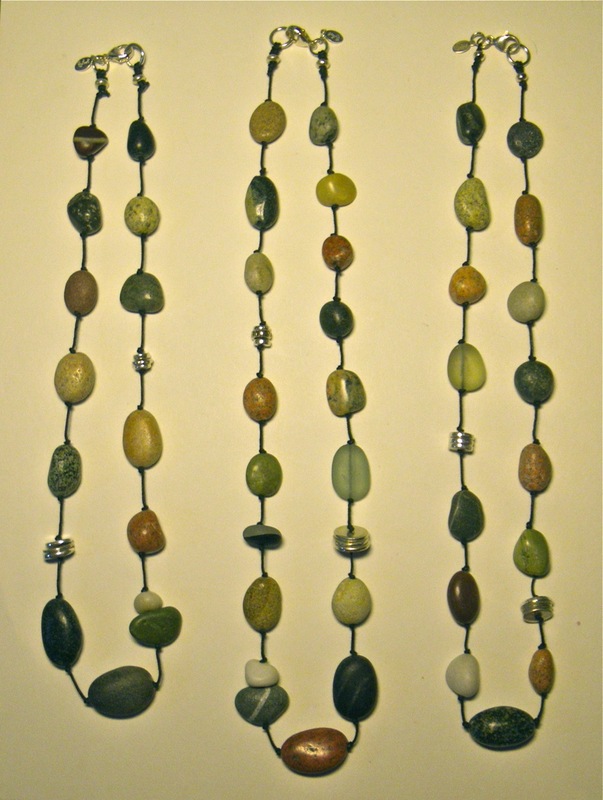 I had a necklace, strung with beach rocks on knotted waxed cotton, that needed to be restrung. I wasn’t satisfied with the way I had finished the knots on the clasp, and I wanted to incorporate some silver discs. I was much happier with the results above. Knotting cord or string is so different from using crimp beads to finish off wire. I find it challenging, but I learn more about it every time I do it. Once I come up with a result I like, whether on a necklace or an elastic bracelet, there is one important last step to use on any knot. Glue. 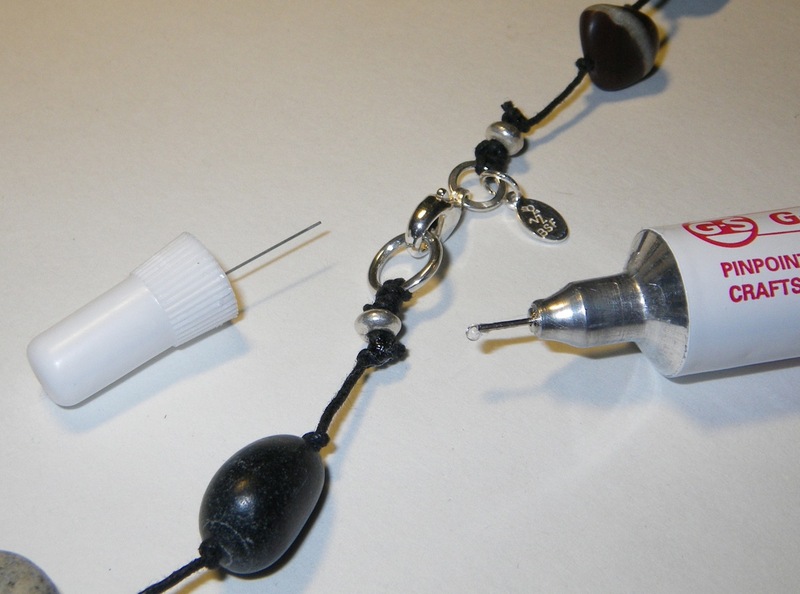 Always add a drop of glue to any finishing knot. I especially like this glue by G-S. It has a needle applicator which makes it extremely easy to apply to a small area. I’m never without it in my studio. love the drape of those necklaces….i’ve been fiddling with knots, too…in/on .5mm leather…i’ve been wetting the leather and then drying it weighted, hoping the knots would tighten up and become “permanent” because my glue always comes out globby…this needle point is exactly what i’ve been looking for! How timely that you mentioned a knotting tool. I was just on here to ask you if you use one–and I got my answer. I’m off to add it to my Rio list. Thanks! Susan, I think you will like it! I’m happy I have the “Tin Cup” version that allows me to evenly space my knots if I want to leave the stringing material open.